It’s easy to create frame photoshop and this tutorial will show you the process for placing one of your photos into the frame. Open the frame file which you already have as well as the photo that you wish to place in the frame. Click the new layer icon in the bottom of the layer panel and press “Shift” and “Backspace” on the keyboard. In the window that appears in the “Use” drop down menu select “White” and click “OK”. Make the layer invisible by clicking on the eye icon. 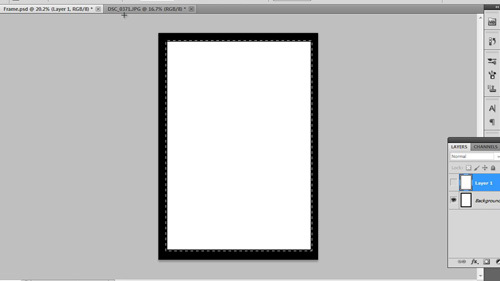 Choose the marquee tool from the toolbar on the left and carefully draw a selection around the edge of the frame. Make sure you do not select any of the white area. Now, make the layer visible again and press “Control” and “C” on the keyboard to copy the frame area. 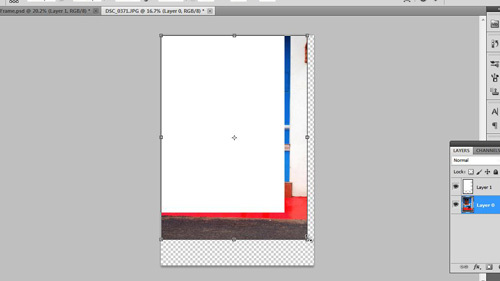 Navigate to the photo that you want to insert into the frame and paste the white selection. Use the move tool to drag it to the top left corner of the image. 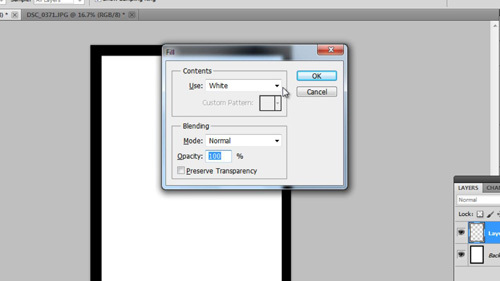 Right click on “Background” in the layers panel and click “Layer from Background”. Click “OK” in the window that appears. Now drag the bottom right corner of the image up to meet the white area and then press “return”. Now, drag the image up to the tab that contains the frame. Wait for a moment then place the image into the frame. Press “Control” and “D” to unselect any preselected area. Use the move tool to the position the image within the frame. Use the arrow keys to perfect the selection. 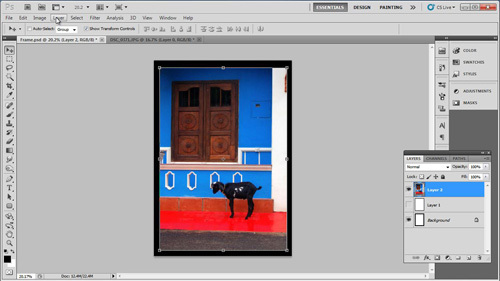 When you have it just right click “Layer” then “Flatten Image” and that is how to create frame photoshop picture.